These images are from my design qualifier exam in 2011. 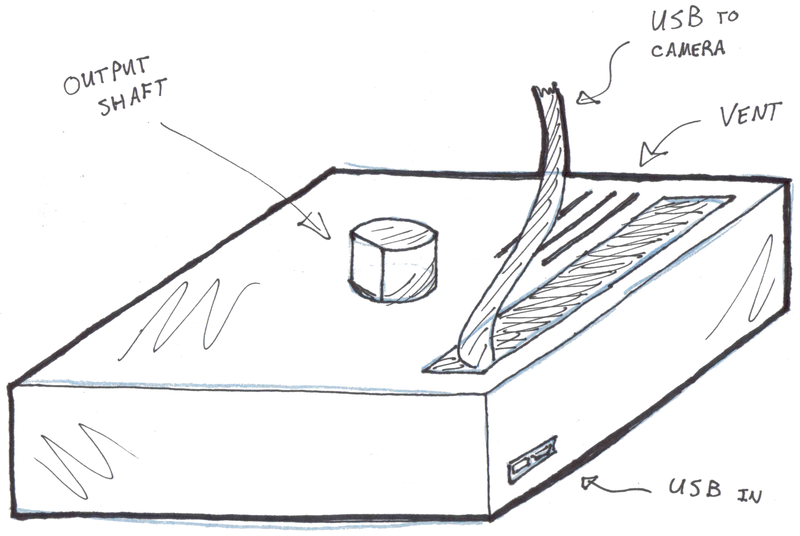 The design problem was to design a gearbox that connected a Kinect camera to a robot body. However, the design needed to be child-proof and resist a 3ft drop. My conceptual design included a gearbox and a compliant torque limiter. 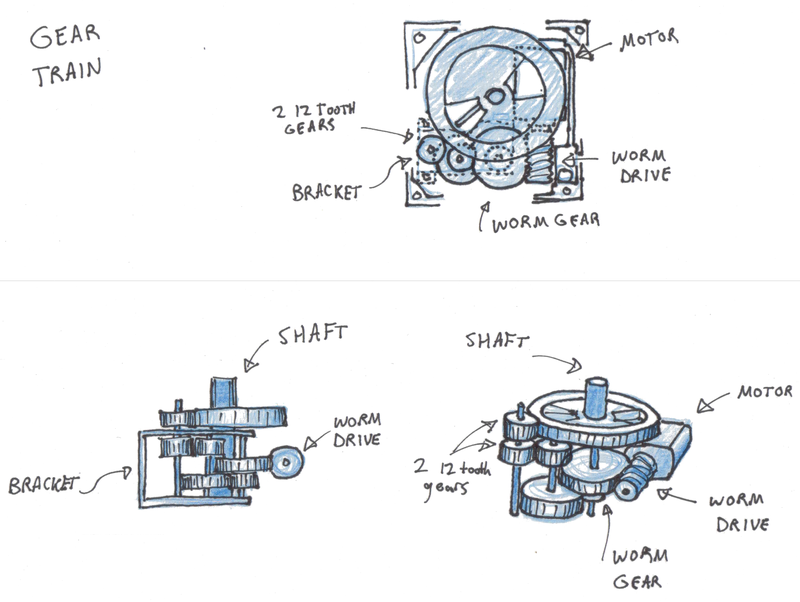 The gear train uses a worm drive to prevent backdriving the motor. The torque limiter allows the head to be spun without damaging the gears. Rotation is limited by the wire connecting the Kinect to the robot body.